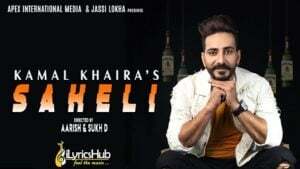 Saheli Lyrics by Kamal Khaira Featuring Shehnaz Gill. Its music given by Nixon. The Lyrics of brand new Punjabi song are penned by Rana Sotal. Nixon On The Beat !